Older US spec vehicles can always use a headlight upgrade, and on this car the tail lights had a special issue. 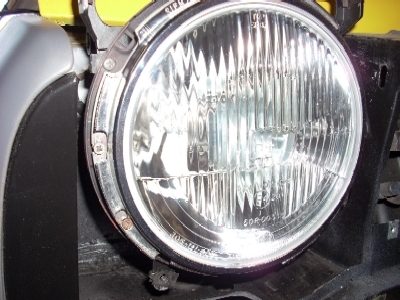 Euro spec Hella H4 headlamps are always a worthwhile upgrade to US sealed beams. These fit directly into the sealed beam buckets. In the process of improving the headlights the headlights components and lift system was renewed. 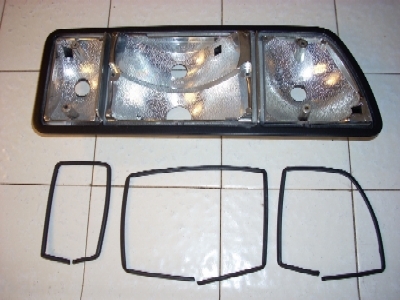 The headlight mounts were refurbished. The body panels were painted and sealed. 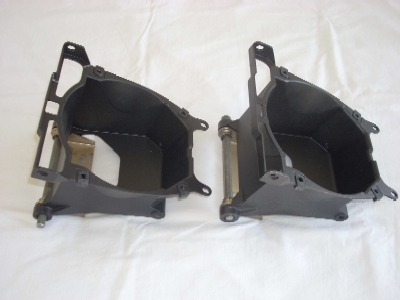 All of the lift components were renewed and painted. 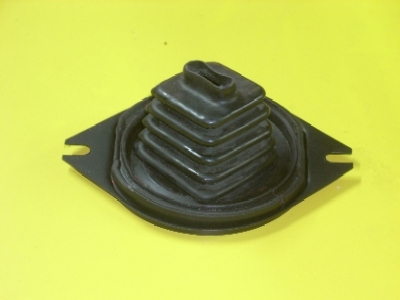 A replacement for the missing bellows which seals the lift system actuation lever was found and installed. An important part of a headlight upgrade is upgrading the wiring circuits. 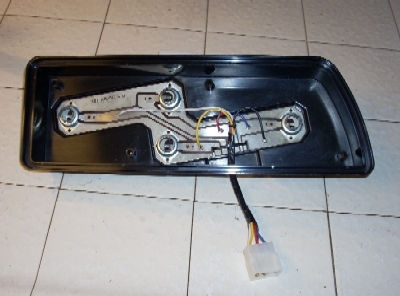 The original headlight circuit was replaced with a new relay switched circuit. 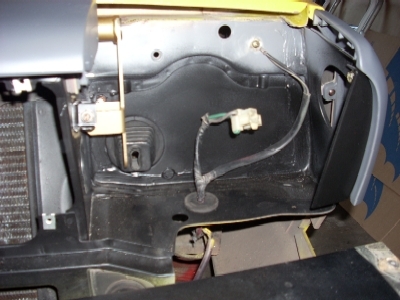 This removes the high current load of the headlight from the ignition switch as is in the original design. 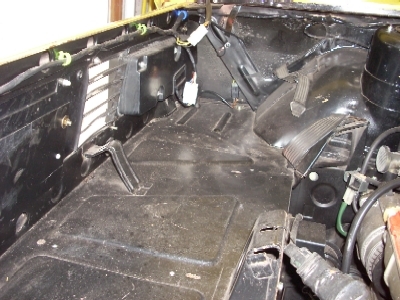 On this car the wiring harness to the tail lights had been cut out - it was gone. 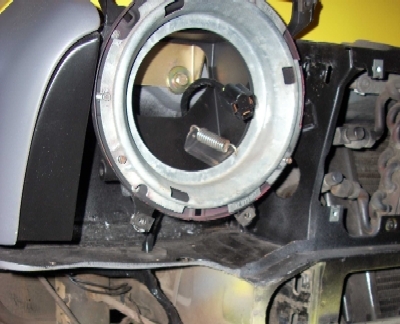 In the process, the tail light units were renewed, and the proper lens screws installed. When dealing with any of the wiring, all of the grounds were cleaned and restored. 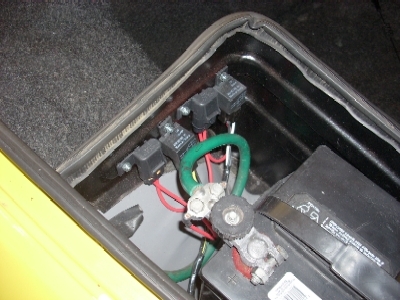 Here's the new wiring harness in place, properly supported by clips.